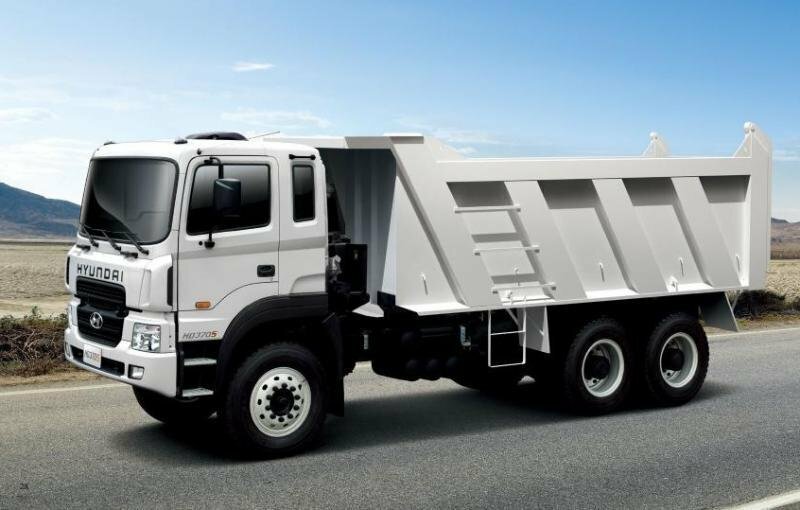 Heavy duty trucks are the strongest “weapons” of any truck manufacturer and they are usually equipped with powerful engines and an ultra resistant frame which serves as a reliable base for the arduous jobs of the vehicle. 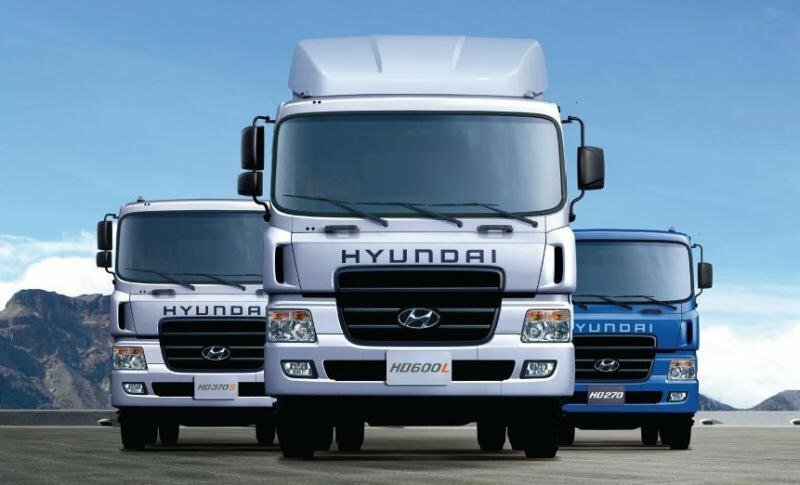 In Hyundai’s lineup, the heavy duty league is represented by the HD range of trucks which are available with a plethora of engines, suspensions and wheelbase lengths. All models share the same exterior design and the same interiors. Thanks to its flexible character, Hyundai’s heavy duty HD series can take many forms and can be used as a Tractor, Dump, Concrete Mixer or Cargo. 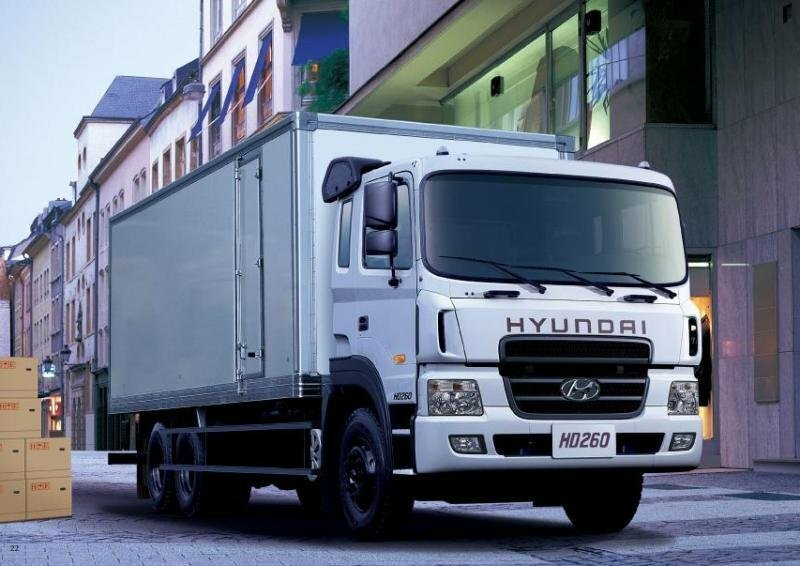 The Hyundai HD range is offered with a choice of 4x2, 6x2 or 8x4 axle configurations. 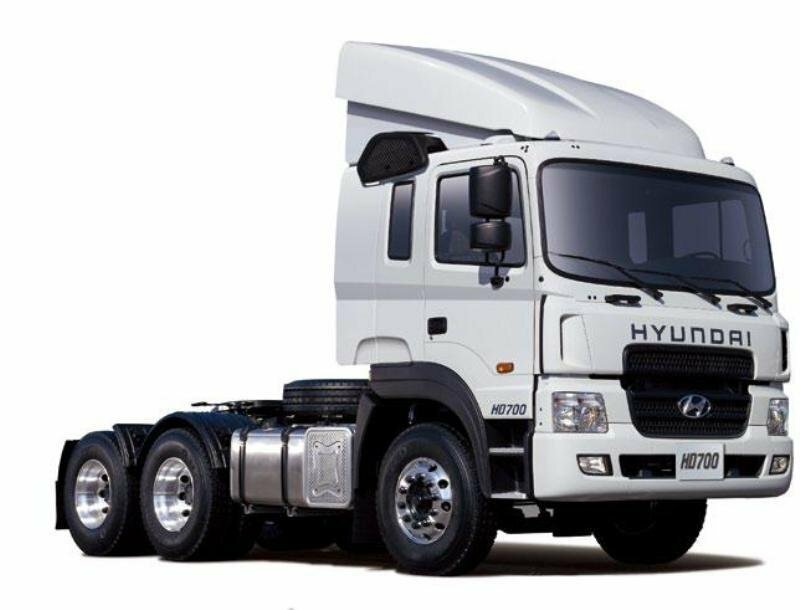 The Hyundai HD Series features a cab over engine configuration and has a rugged design which is a perfect match for its utilitarian character. 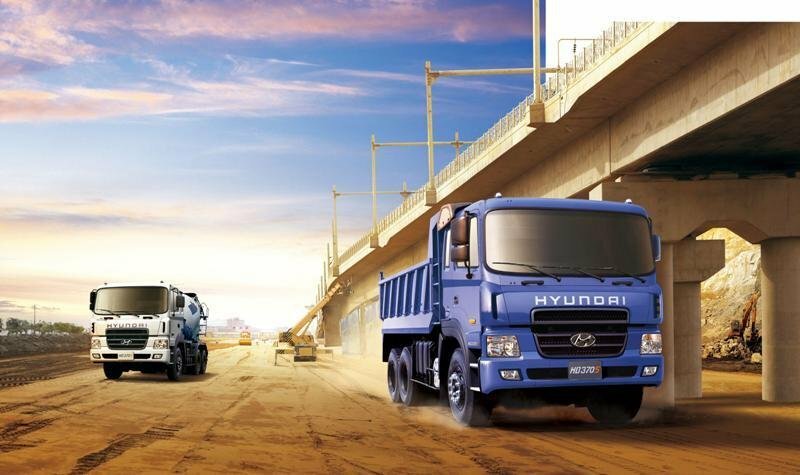 Whether you’re dealing with urban distribution, long distance haulage, construction or serving communities you can be sure that the tough design of the Hyundai HD series will blend pretty well in the “landscape”. Judging by today’s standards, the Hyundai HD looks pretty modern too, and we like the giant black grille that dominates the entire front fascia. On the other hand, we find the HYUNDAI logo embossed on top of the grille a bit too “in your face”, due to its exaggerated size. The big headlamps are mounted in the wide body colored bumper and feature a pretty rudimentary design. The good part is that they’ll do their job with dignity and provide good road visibility in the dark. They also contain complex surface reflectors which further extend the range of the road illumination. The large wraparound bumper is fitted with clear angulated front fog lamps which further enhance visibility. The cab comes with twin corner vanes which improve the vehicle’s aerodynamics and also help to reduce wind noise inside the cabin. In order to keep the performances to a proper level, both the high mounted and low mounted air intake ducts on the cab had been designed to maximize the intake efficiency. The interior is a perfect match for the utilitarian exterior design. There is plenty of space inside and we also like the wraparound design of the dash which offers easy access to the numerous controls mounted on the center console. The dash isn’t intrusive and we also like the overall build quality which is at par with competition. The materials are of course part of the hard class, but they seem durable and easy to clean. Apart from its good ergonomy, we find the interior design a bit dated for today’s requirements and especially the two spoke steering wheel should need a fast upgrade as is among the worse units you’ll find in this class. Luckily it feels good to hold and also comes with tilt adjustments which win it some points in the comfort and ergonomy departments. The air suspended driver seat is also pretty comfortable and offers a good driving position including pneumatic lumbar support and side contour adjustment. Naturally you won’t complain about the straight road visibility either, as the huge windshield offers a superb view of the road ahead. We also like the side visibility which is enhanced by the big heated mirrors and the generous door windows. Unlike the conventional instrument clusters which feature two main gauges taking a central position, Hyundai’s layout is slightly different and some may consider it a bit odd. We don’t say that is something wrong with it, but you’ll need some time to get used to it. 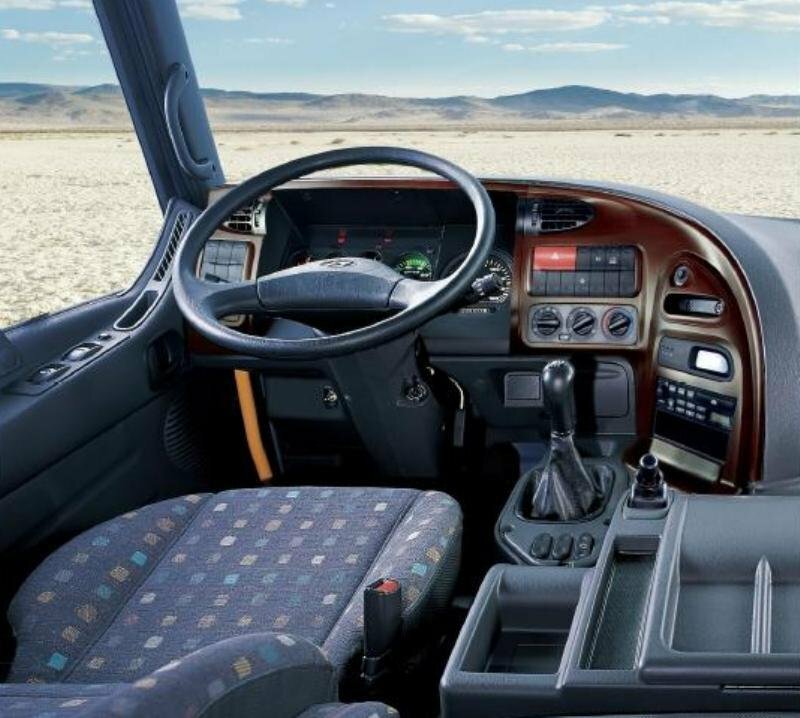 Unfortunately, the truck is fitted with a pretty small bed which is among the most uncomfortable units in its class as it is pretty rudimentary designed. Though, you shouldn’t worry about storage spaces, as there are a plethora of cubby holes, cup holders and other useful compartments to deposit you things. There is also a wide open stowage area located in centre console for various small items and generous over head consoles. 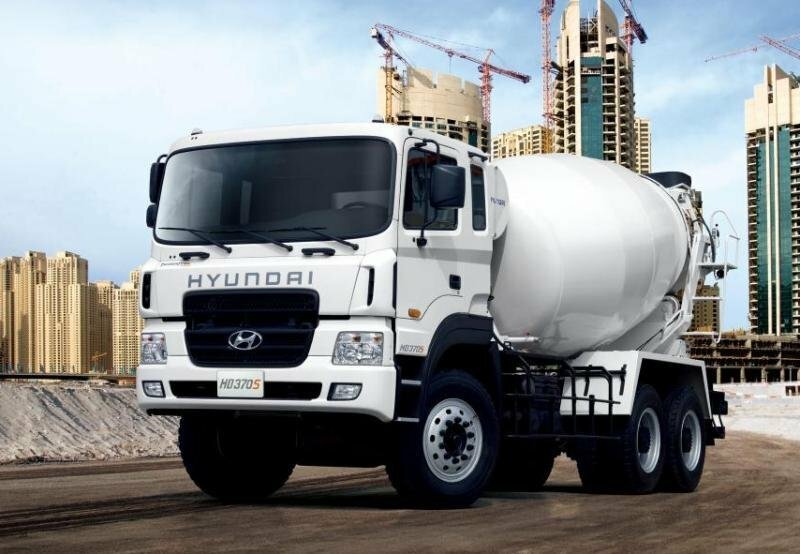 The Hyundai HD heavy duty Series is offered with a choice of Euro 1, Euro 2, Euro 3 and Euro 4 diesel engines which develop between 220 hp and 410 hp. The engines aren’t the most powerful units in the segment and the smaller one could even feel slightly underpowered when dealing with steep inclines. The good part is that they are pretty reliable and despite their sluggish acceleration they are able to get the job done. Luckily, you won’t complain about the stronger engines as they have enough punch to keep you satisfied even when dealing with massive payloads. The top of the range D6CC41 is a turbocharged air-to-air intercooled V-6 that delivers 410 hp and is combined with a capable diesel injection system for improved performances and reliability. The engines are mated on ZF 16-speed transmissions which a cope well with the utilitarian nature of the truck and are able to offer a god mix between performances and efficiently. 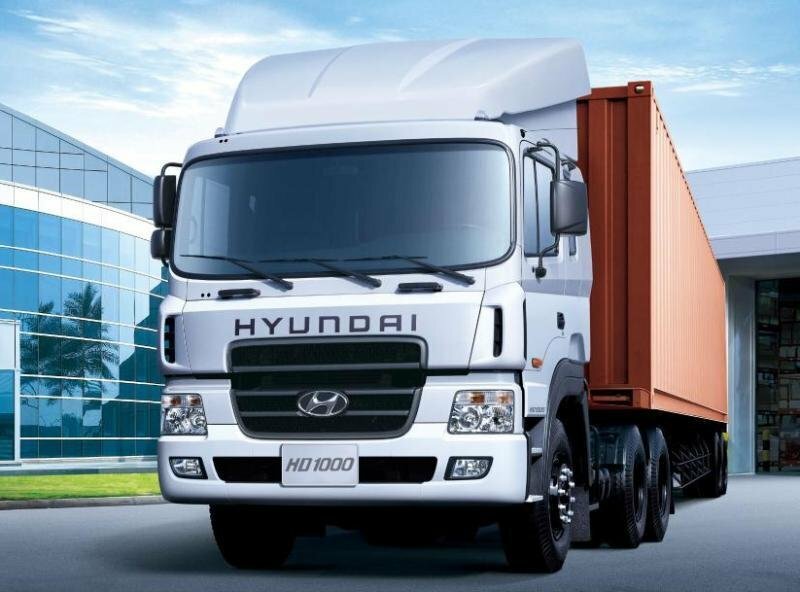 The Hyundai HD heavy duty range is build on an extra strong frame which is combined with an all steel suspension with long tapered parabolic leaf springs and hydraulic shock absorbers which help to optimize load distribution. The cab rides on four coil spring mounts which makes the ride pretty comfortable with most of the shock and vibration kept outside. For increased comfort Hyundai also offers an optional air suspension. We find the standard power steering a bit flimsy, but it is fairly precise and helps you move this big truck around pretty easy. The Hyundai HD is equipped with a performant air braking system which is supplemented by a strong exhaust brake. For enhanced comfort the standard brakes can be combined with ABS with anti-slip regulator and front and rear auto brake adjusters. We can’t say that Hyundai’s heavy duty trucks are the best in the business, but they have a few strong points that could catch a buyers’ interest. The trucks have a rugged design and a pretty strong built quality which won’t let you down when you need to deal with big payloads. The cabin is far from being luxurious, looks dated and has an uncomfortable bed. However it’s fairly spacious has comfortable seats and is fitted with many storage places. The truck is also one of the most versatile models in its class and is offered with a wide range of wheelbases and engines which permit you to find the perfect choice for your business. It’s true that the engines aren’t the strongest or the most efficient units in the segment, but they have plenty of punch to get the job done safely. Hyundai HD is equipped with a performant air braking system which is supplemented by a strong exhaust brake. For enhanced comfort the standard brakes can be combined with ABS with anti-slip regulator and front and rear auto brake adjusters.